Recollections of an old guitarist. An assignment of ethical dilemmas. Raga Raga is an old benga guitarist, a real pro benga master of the rhythm guitar. He is a respected benga master of the 1970s and 1980s. He lives his last days in his rural home where he faces a recurring set of obstacles as he moves into old age; he is poor. He wants to retire. But he finds his retirement rudely interrupted by a Kisumu City music promoter.A curious and complicated alliance of ruthless underworld benga musisicans have been attracted by millions of shillings glittering prize… that poses to turn benga music into fusion music. Money buys everything... or at least, that's what the eccentric Kisumu millionaire music promoter Juma Banja believes. He has a singular reputation - he was a born go-getter… He wants to make money by giving benga music a huge facelift. He knows Raga Raga is a highly respected old benga master and any change in real benga music introduced through him will be respected. Raga Raga can’t uphold his principles for too long, he needs money. He responds by enacting various tactics to reconcile the new challenge. Poverty is not a new thing in the life of benga artistes, it’s normal. 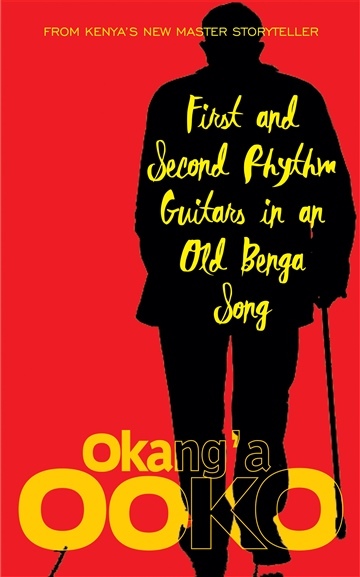 Men who created benga music have died paupers. The living ones are impoverished and live in pathetic conditions. Up till now, he had been content to live that way. But now, he is faced with a challenge: to make a transformation in his principles and change benga music radically in exchange of money. This calls on him to betray the loyalty benga music had invested in him so faithfully for so many years. I am a retired graphic designer and author with work appearing in various print venues. I also write for online publications, periodicals, feature articles and the like. I live in Nairobi and spend weekends in Kisumu and Homa Bay. I was born in Rusinga Island, Lake Victoria in Kenya. I grew up in the ‘70s and ‘80s in Kisumu. I grew up admiring books. My family lived near Kisumu Area Library and my early life was about books. I spent many hours in the Library and in bookstores in Kisumu, and I would spend evenings and weekends flipping through book after book, always sure to read the ones that looked the most interesting. I was given the nickname "Master Storyteller" by my friends in 1980 because I loved to retell the stories I had read. I made up things and told lies. Really good ones — some of which my boyhood friends still believe. This was the era when television and movies were still a novelty and beyond the reach of many. The most convenient form of entertainment was reading novels. I was a huge bookworm all the way up to high school. The library was my safe place and my friends were all avid readers as well. I studied fine art at the Notre Dame Catholic Art Centre in Kisumu under renowned watercolorist, Janet Mullen and then proceeded to Kenya Polytechnic University to study graphic design and communication. Although I had always made up stories in my head, I did not write as a young boy other than essays for school. 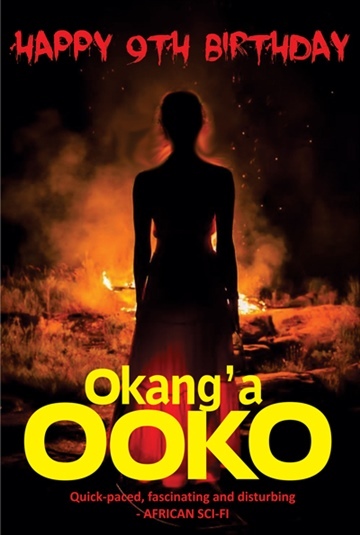 In high school, in Kisumu, it was a longheld belief that I will be a writer some day. My friends and colleagues always chided me about it, asking when "my book" was going to be published. My family, too, waited. 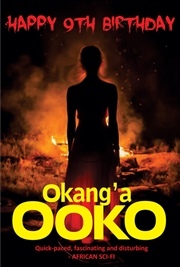 I started seriously writing in college in Nairobi, but even that wasn't serious writing; I was involved heavily in theatrical activities and produced work that was performed, a little here and an occassional one-act play there... things I wasn't serious about and which did not find their way into print. When I graduated and started working I found myself with more free time and have started reading again. I wrote a lot during this time, published some works. Not much has changed since then, except now some of the interesting books I pick off the shelves are written by myself! Little wonder today I am a full time writer and author. The feeling of escaping into a completely different world and losing yourself for hours in the pages of books has much remained. I love books. I love turning pages. I loved immersing myself in stories, losing myself in twists and turns of plots. My world is the Book World. I read on my Samsung phone and my iPad in my car and on the bus. I frequent bookstores, I download tons of books, I spend many hours reading. Writing fiction can help you incorporate knowledge from a wide variety of sources and use it in your own dream land.